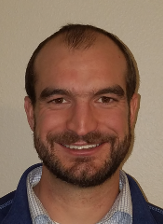 Cliff Meis – Utility Mapping Services, Inc.
Cliff joined UMS in 2016 after working for Aera Energy in Bakersfield as a mechanical engineer focused on reliability engineering. He has industry experience managing complex engineering and survey operations in California, Washington, Texas, and Montana. Since joining UMS Cliff has been instrumental in advancing UMS’s use of new 3D geophysical mapping technologies in hydrographic, pipeline, and utility mapping operations. New technologies include the IDS GeoRadar multichannel Stream C, SPAR300 electromagnetic 3D pipe detector, and the NORBIT AS iWBMSc multi-beam sonar. Cliff is also a key player along with our Joint Venture IT partner Berenice in the development and implementation of WebGIS tools and practices for managing complex data sets acquired during survey operations. These WebGIS tools include the new GEO.works™ GEOfeature™ application which manages spatial information along with standardized feature coding, attribution, digital imagery, and other data.